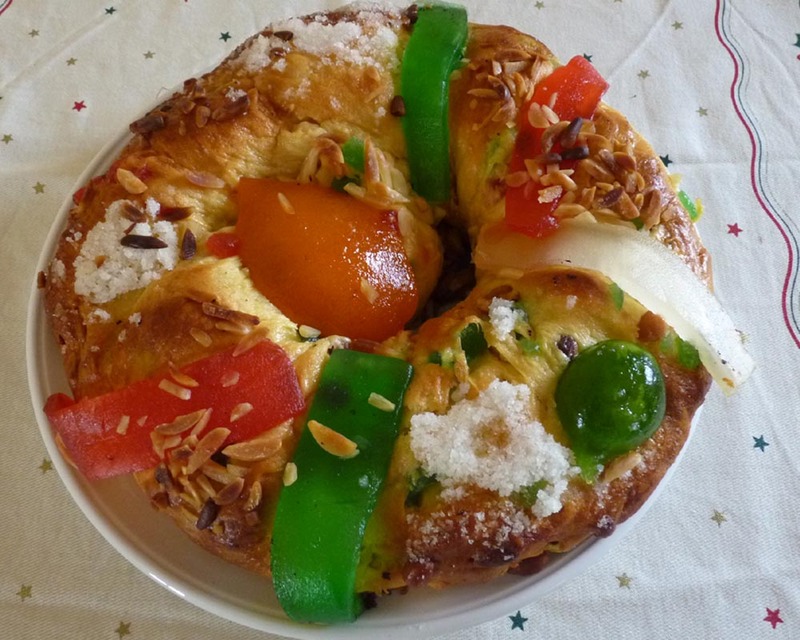 The Bolo Rei (King Cake) originated in France and only arrived in Portugal during the mid nineteenthcentury. It is traditionally eaten on the 25th December (Nativity) and the 6th of January (Epithany). However, the cake is so popular that it is on sale from the end of November through to the Epithany. The bread-like cake is round with a hole in the centre like a crown and decorated with candied fruits and nuts to symbolize the gifts offered by the Magi. The Magi were the wise men who followed the star from the east to worship baby Jesus in Bethlehem. They were later referred to by the Church, as Kings. Hence Bolo Rei. I love Bolo Rei. The ”chefs” are our spot will be making one before the weekend. I can only liken it to a stale Panettone. I still prefer our traditional christmas cake. Never heard of this at all, but definitely like the sound of it! A bagel with attitude or a sweet tooth perhaps? I discovered gingerbread doughnuts today and thought I’d treat us. Sadly they were only filled with ginger flavoured custard, but the doughnuts are still the best we;ve had for a while.